Conceal and heal minor injuries in Shock Doctor's Elbow Compression Sleeve (Long). 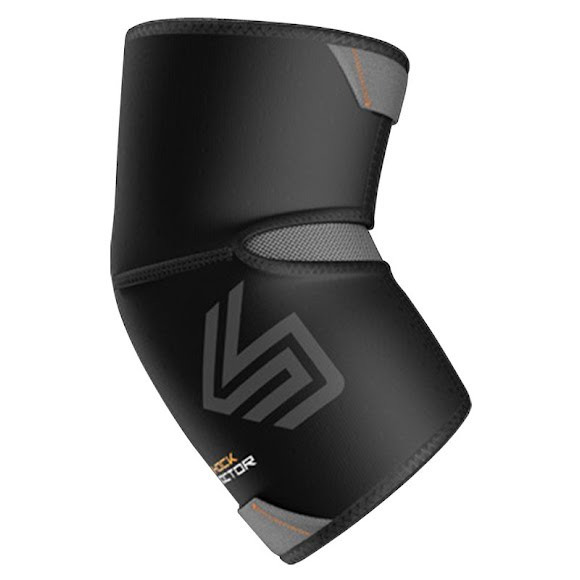 The pre-curved compression design supports minor injuries and provides therapeutic warmth throughout the elbow region so you can perform confidently. Conceal and heal minor injuries in Shock Doctor&apos;s Elbow Compression Sleeve (Long). The pre-curved compression design supports minor injuries and provides therapeutic warmth throughout the elbow region so you can perform confidently. Conforms to the natural shape of your elbow and arm. Thumb opening for comfort and long lasting.